The other side to the previous Ikan Goreng Kunyit/Turmeric Fried Fish. The other side which is my favourite as well. Speak about sourness, me, myself and I? Honestly, I so love sourness to every bit. Any kinda sourness in our Malaysian dishes (Nyonya Acar Fish, Asam Curry Fish & Fried Kembung With Assam Sauce). Sourness from our local fruits (Sambal Belimbing Bilis & Masak Lemak Nenas) and of course, lime or asam jawa/tamarind are the other two for streaming into curries or our sambal dishes (Tamarind Prawn Curry, Ayam Masak Tiga Rasa, Sambal Udang Petai & Asam Pedas Ikan), or maybe I should include vinegar as well. For this Ikan Goreng Asam, its tamarind. 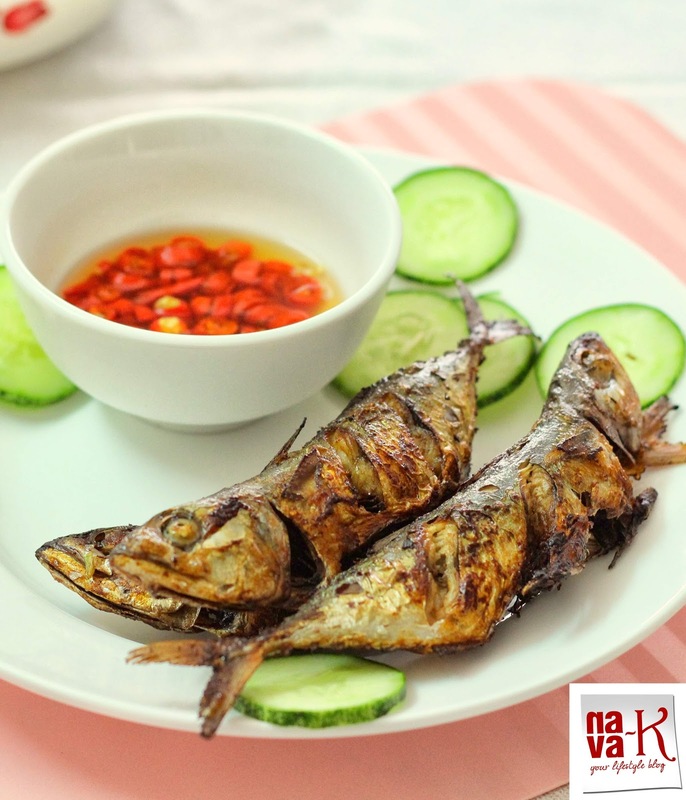 Tamarind juice and salt as the marination for fish, followed by fish being fried and of course, we need a dip right? Dip which must be spicy, salty and along a touch of sweetness? Potentially (Fried Fish with Soy Sauce, Ikan Masak Kicap & Crispy Chilli Fish). Ikan Goreng Asam? Sourness is definitely our Malaysian food appreciation. 2 or 3 ikan sela/yellow tail scad – clean, leave the head on and score 3 times on both sides. Set aside for at least one hour. Combine the ingredients for the dip and serve with fish. This is a flavour loaded crunchy fish fry with the spicy dip adding a whole lot of dimension to its taste burst. Very nice dear. They look so inviting & delightful . I love this simple dish..reminds me of the younger days. Absolutely love fish, especially deep fried fish so I'm sure I'd love this dish! Yours looks so perfect, like it's from a restaurant! This is delicious and simple recipe that is a plus. Looks so tempting and perfect! Kembung will always be tastier than all those fancy expensive fishes. Omg... I alwYs loved your non veg recipes so much... They always looked the same as they give in restaurants here... Even this one too.. Love it so much.. I love FISH! This looks really fresh and delicious. 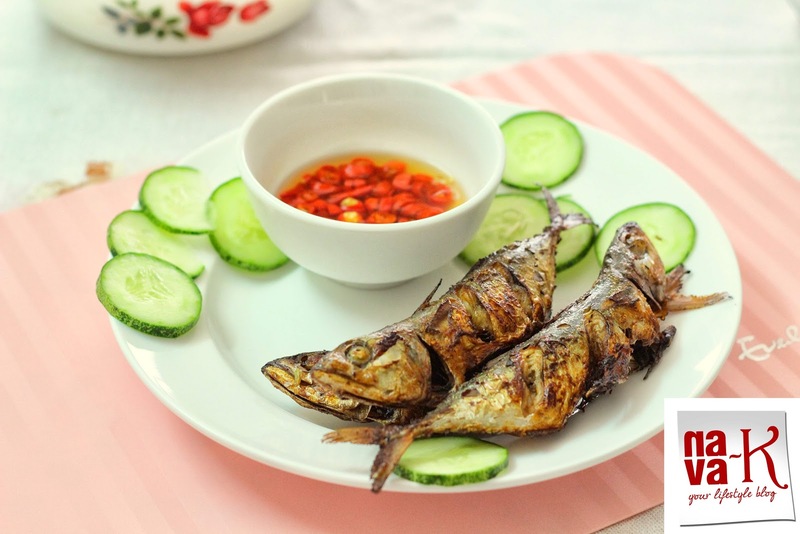 Fish is perfect and inviting.Thanks for sharing the recipe of chili dip.I've tasted it before,but never knew how to make. This fish recipe is looking delicious and chili dip is the cherry on the top. I love spicy food.